Accelerated Polishing Machine - Gilson Co. 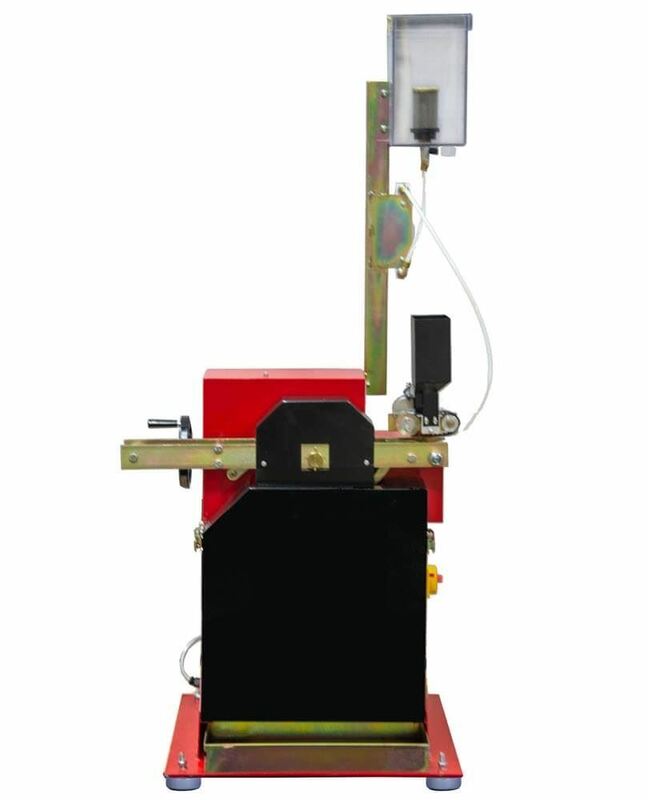 The HM-614 Accelerated Polishing Machine determines aggregate wear through action of vehicle tires. 3/8—1/2in (9.5—12.7mm) pieces of aggregate are bonded in molds to form fourteen curved segments. Segments are clamped to the "road wheel" to form a continuous aggregate surface 1-3/4in (44.5mm) wide and 16in (406mm) in diameter. 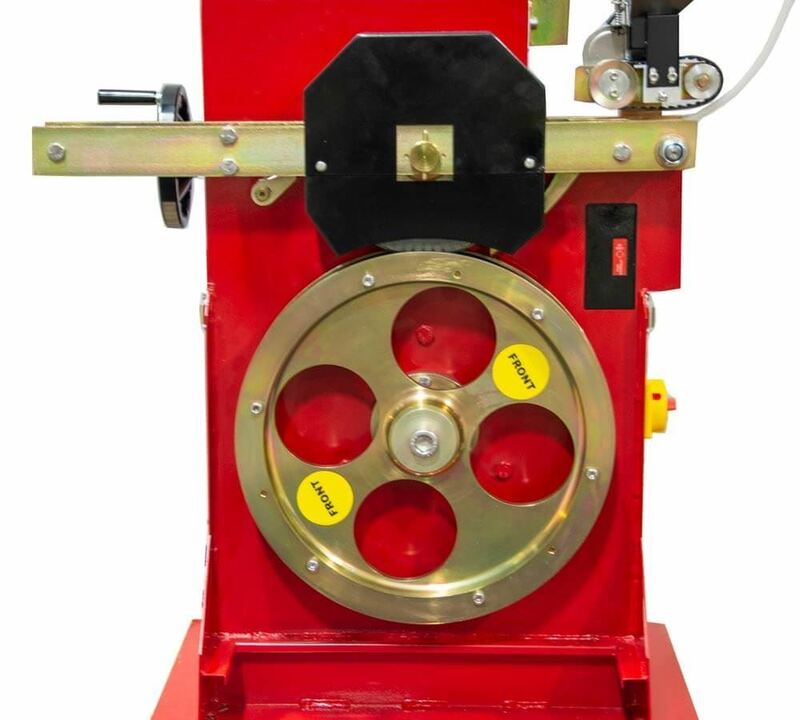 During testing, the road wheel is driven at 320 ±5rpm in loaded contact with an 8in (203mm) diameter rubber-tired wheel while abrasive is fed to the contact area. 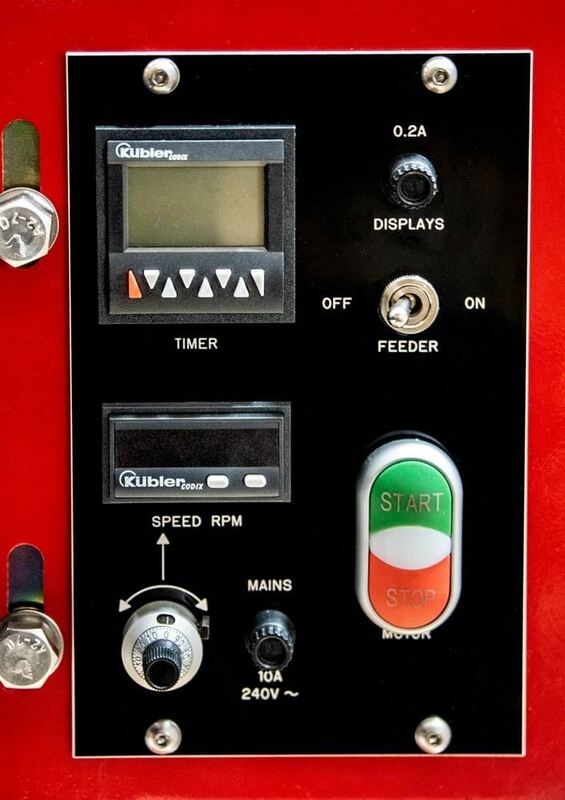 Friction values are determined after polishing, using a Pendulum Skid Tester. The HM-614 is designed for the ASTM D3319/AASHTO T 279 test method and consists of a welded steel frame on adjustable pads. 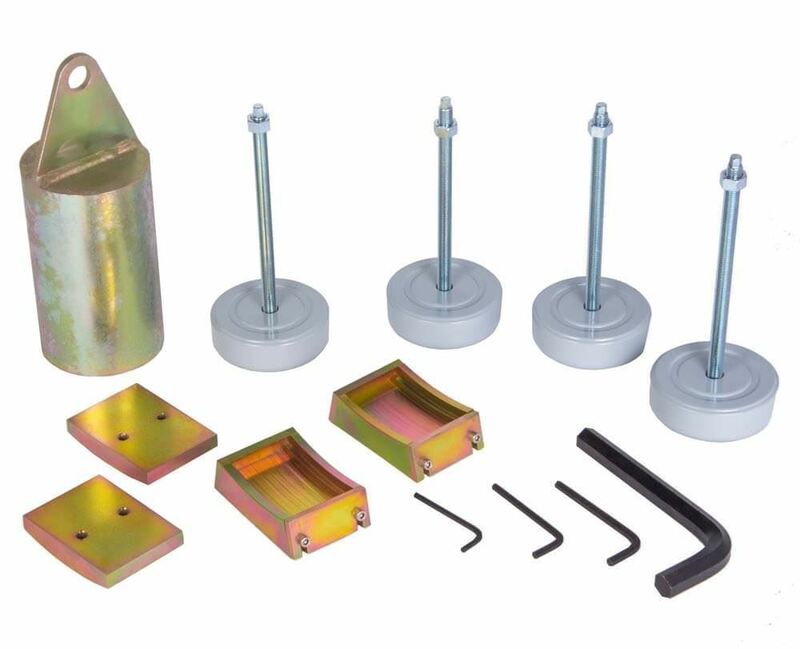 This unit maintains an 88lbf (391N) load on the road wheel and uses silicon carbide grit abrasive with a special grit feeder and Goodyear pneumatic-tired wheel assembly. The road wheel is driven by TEFC motor via an adjustable timing belt. Tests are automatically terminated by a preset revolution counter. Water is gravity fed from a tank through a calibrated flow meter and is collected with the used abrasive in a removable tray. 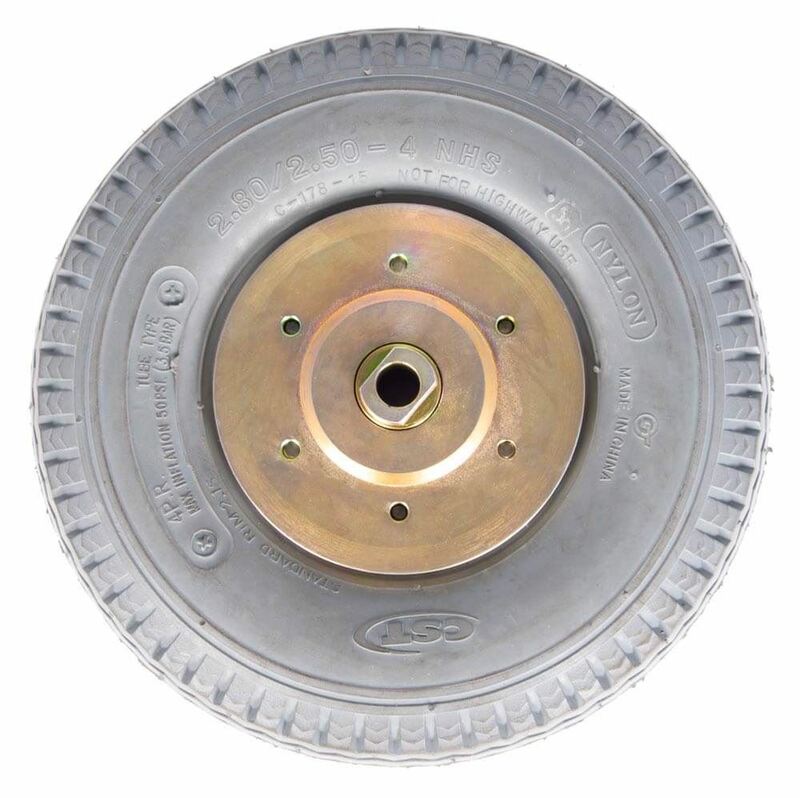 Tire loadings to the road wheel are controlled by a mechanical lifting device. Units are supplied with two specimen molds, two mold plates, required feeders, wheel assemblies, wrenches, mounting pads and operating instructions. Order abrasives separately. Each ASTM/AASHTO test requires about 10lb (4.5kg) of silicon carbide grit.